NATO EXPANSION: Moving east in order to force a confrontation with Russia. NATO’s charter specifically states that the alliance exists to defend member states – not to attack other nations. Judging by its actions, its mission is to replace the UN Security Council’s function of authorising force, and to retain a monopoly on force worldwide. NATO’s first big move to usurp the UN and international law came in 1999 with NATO’s bombing of Serbia. It claimed the effort was intended to force the Yugoslav Government of former President Slobodan Milosevic to withdraw its forces from Kosovo, but it was more than that. NATO wanted to test the UN charter and international law in order to set a precedent – in this case a criminal precedent. The UN Charter strictly forbids military intervention in sovereign nations unless agreed by a UN Security Council resolution. NATO’s most recent move to undermine international law came in 2011 with Libya. NATO lied about its mission and intentions, instead using the disguise of a ‘humanitarian intervention’ in order to provide air cover for Islamic terrorists and rebel fighting groups on the ground trying to depose the Gaddafi government. The bombing campaign and chaos that ensued resulted in an estimated 30,000 civilian deaths and casualties. Western nations chalked these up to collateral damage. They told us, “Gaddafi had to go. The ends justified the means”. It’s as simple as that. 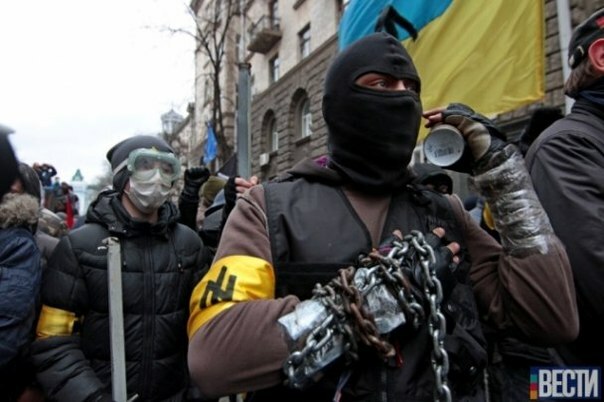 Now NATO is displaying its most open political and risky military aggression yet in the Ukraine. While a ceasefire has been reached in Eastern Ukraine and hostilities have ceased, NATO has seized the opportunity to inject more tension by openly trafficking arms on to Russia’s doorstep. “Must Europe really be dragged into a potentially catastrophic war with Russia? At present the United States government is trying to force the European members of NATO to participate in aggressive operations in connection with the coup which it carried out in Ukraine. Europe must refuse”, says John Scales Avery from Counter Currents. NATO is delivering weapons to Ukraine, the defense minister of the embattled European nation said Sunday. “We reached agreements in closed talks, without media, about … those weapons that we currently need,” Defense Minister Valery Heletey said, according to Reuters. Heletey said his country needed weapons “that could stop [Vladimir] Putin,” the Russian president. “I have no right to disclose any specific country we reached that agreement with. But the fact is that those weapons are already on the way to us — that’s absolutely true, I can officially tell you,” Heletey told the news service. “Heavy fighting” was going on near Donetsk Sunday, AFP reported, raising questions about the sustainability of a truce there now nine days old. “Large clouds of thick black smoke billowed over the industrial city as the boom of sustained shelling and the rattle of automatic gunfire rang out throughout the day, AFP reporters witnessed,” the news service said. NATO itself won’t send weaponry to Ukraine, but its member nations can, Reuters said.